As Titan travels around Saturn during its 16-day elliptical orbits, it gets rhythmically squeezed by the gravitational pull of the giant planet — an effect known as tidal flexing. Now, if this cloud-covered moon were mostly composed of rock, the flexing would be in the neighborhood of around 3 feet (1 meter.) 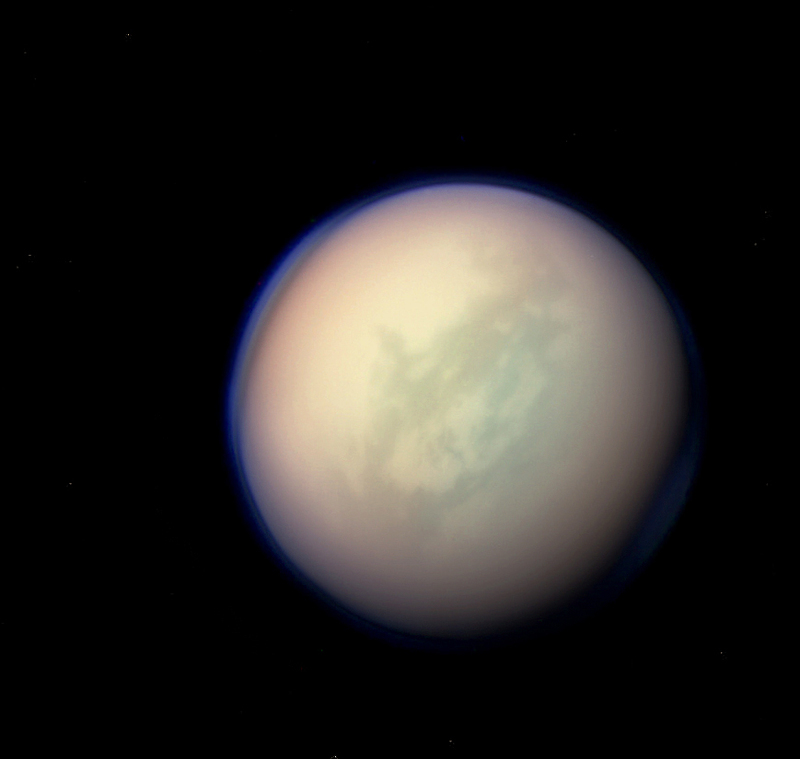 But based on measurements taken by NASA’s Cassini spacecraft, which has been orbiting Saturn since 2004, Titan exhibits much more intense flexing — ten times more, in fact, as much as 30 feet (10 meters) — indicating that it’s not entirely solid at all.